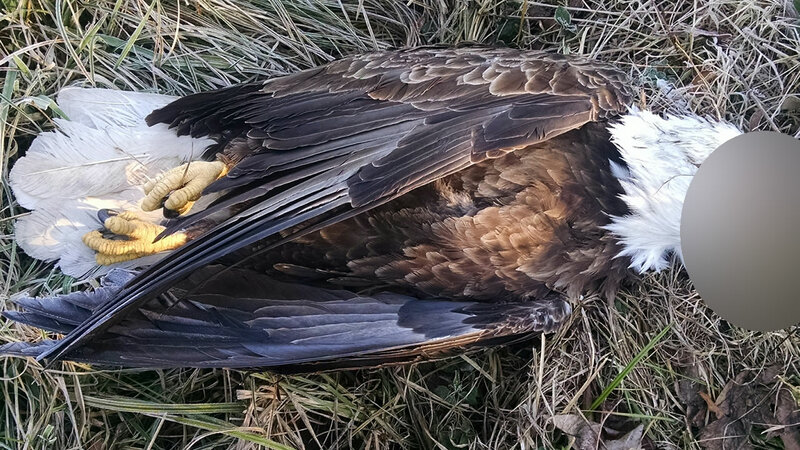 BEAR CREEK, North Carolina (WTVD) -- The North Carolina Wildlife Resources Commission says a bald eagle has been found shot dead in southwestern Chatham County. A North Carolina Highway Patrol trooper spotted the dead bird in a ditch along Siler City Glendon Road and called wildlife officers. A veterinarian at the North Carolina Zoo x-rayed the dead eagle and confirmed it had been shot through the head. Anyone with information is asked to call North Carolina Wildlife Resources Commission Officer Claude Smith at (919) 239-9897. Bald eagles were put on the endangered species list in 1978 and later removed when populations recovered, but it is still illegal to kill them. Conviction carries a maximum criminal penalty of up to $100,000 and/or one year in federal prison. State charges will also apply.